This is a wholesale/bulk lot of 12 units. One retail display box box. Each pendant in own clear plastic bag. See links at bottom of page for single unit sales. 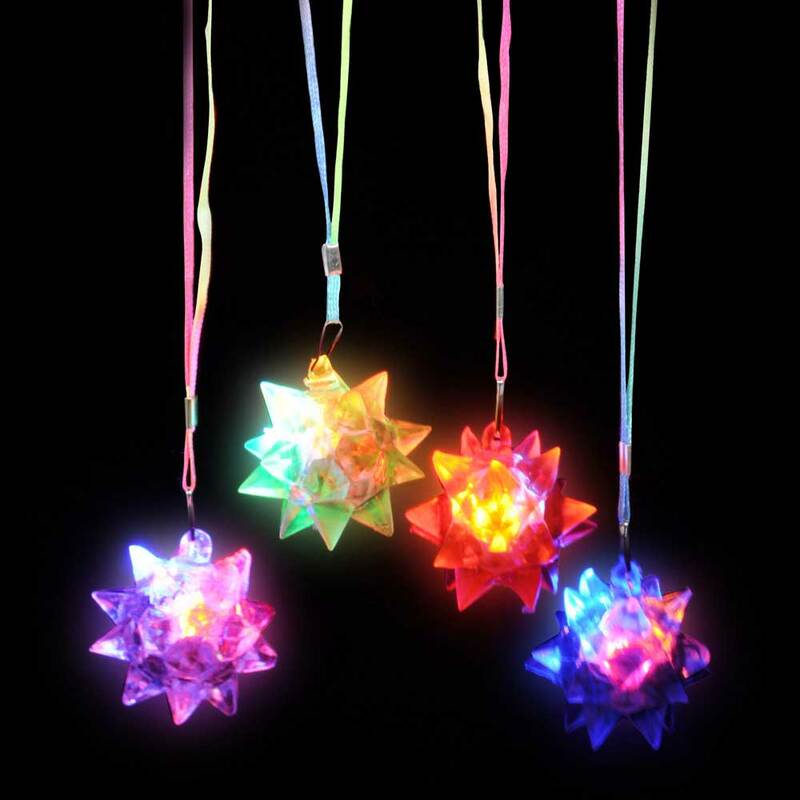 Soft rubbery points protrude from this multi-color Flashing LED Star Pendant. The ball is about 2" in diameter. 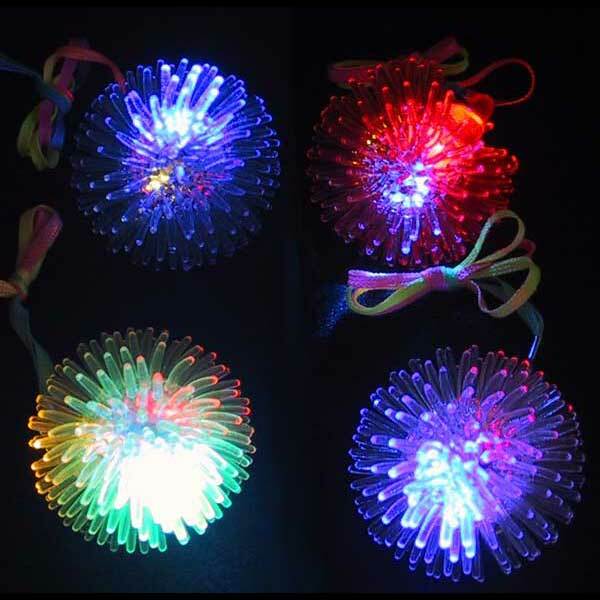 Comes in a variety of colors, though all flash with the same multi-colored lights. Squeeze to turn on, squeeze again to turn off. 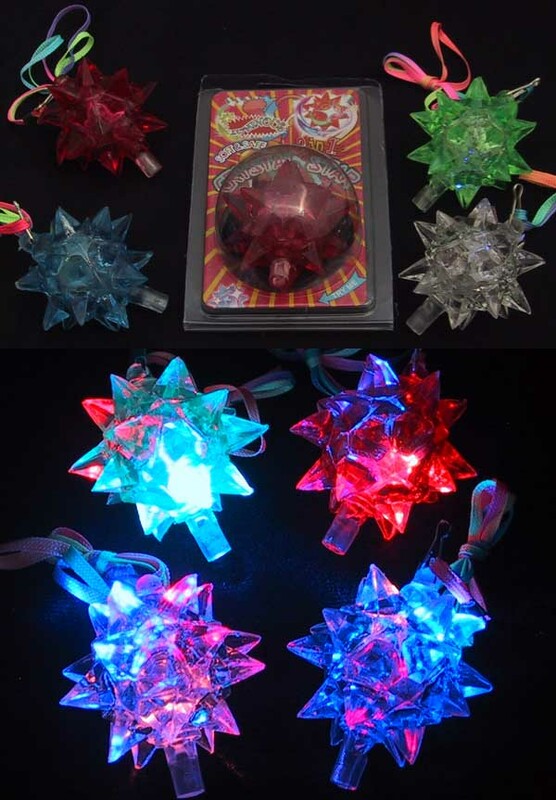 Great for dances, raves, cocktail parties, clubs, bars, concerts, camping, etc. Comes with a colorful rainbow lanyard. Made of a soft silicone based rubber - delicious to the touch and fun to play with. 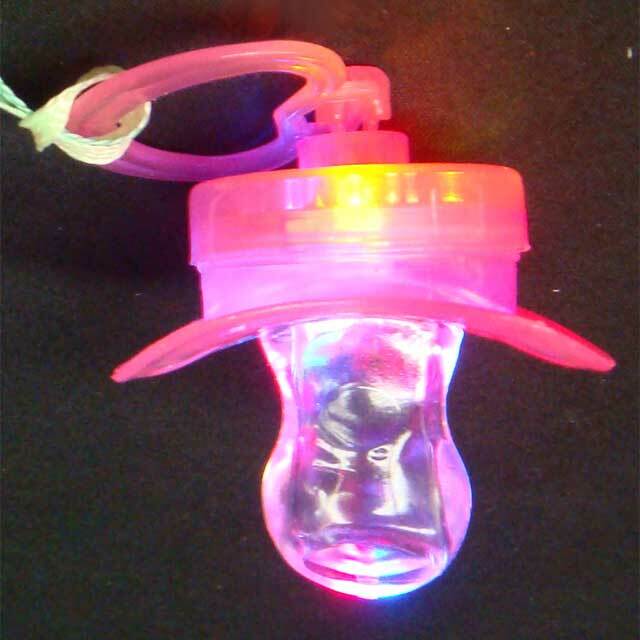 We removed the neck strap from a pair of these and mad a set of poi. Batteries are pre installed and are not meant to be replicable, although that didn't stop us from successfully taking one of these apart. The silicone ball is sealed around a plastic core. Make a small incision and the silicone ball will easily stretch and the plastic core will pop out with ease. The plastic core is constructed of two half-spheres with springs in between and acts as the switch. The two parts easily come apart, and the electronic guts pop right out. A stack of three AG10 button cell batteries pops right out of that. We thought it would be cool to cut or unsolder the metal battery support and wire a bunch of these to another power source and use them on another art project. 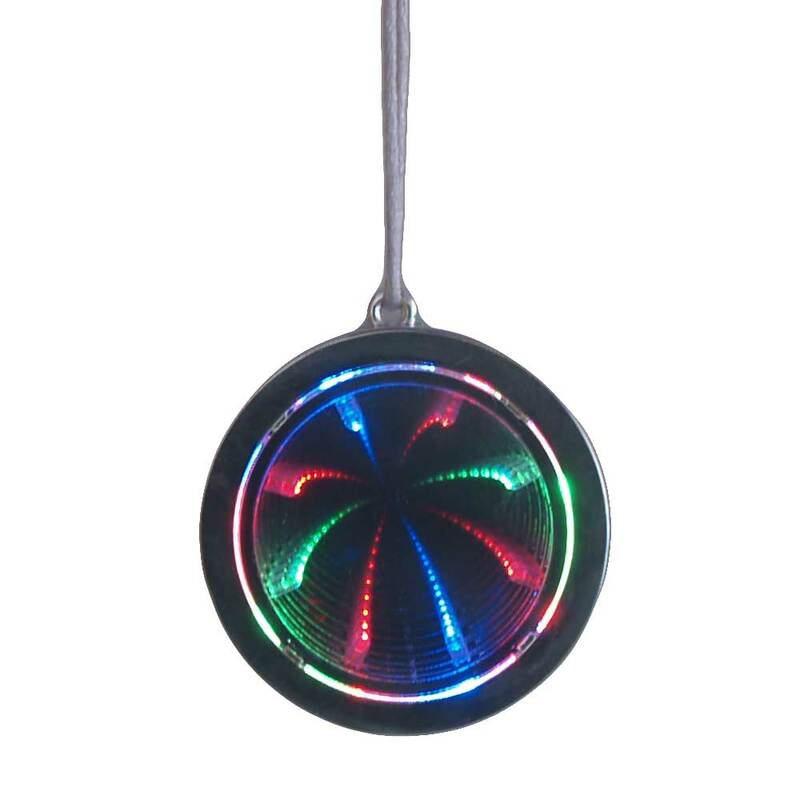 The unit has three color LEDs that flash in sequence. Does not come with the whistle shown in the photo.